I found some new Valentine paper at the store on Friday that I just had to have. I loved the red, pink, and gray color combination in this Echo Park paper line. I had to take a few minutes to do a little creating. I am still working on my "Use it up" goal that I mentioned in an earlier thread, so all three cards have a common paper theme. I wanted to use up as much of the paper as possible. Two of the designs were created for some challenge this week. First I wanted to talk about "Love you - Forever" card (third in line). I used this sketch from iheart2stamp's January sketch challenge. Special touches included the raised scallop circle, buttons, and the double layered ribbon. I really like how the black backing makes the colors on the patterned paper pop. This one is also being entered in the Just Us Girls color challenge #120 for the pink, red, and white color combination. 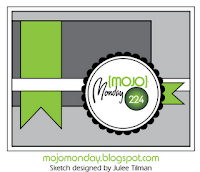 The second card was made for the sketch challenge over at MojoMonday. I had a hard time incorporating the vertical ribbon down the side so I ended up using the neutral twine and bow with the diecut keys. I don't usually use a stamp for a border especially one that wasn't meant to be a border, but I especially like the white XOs border I stamped along the black cardstock border. The crisp white pigment on the black cardstock really stands out. Don't forget to check out my Crafting with the Kids challenge I have going on right now. 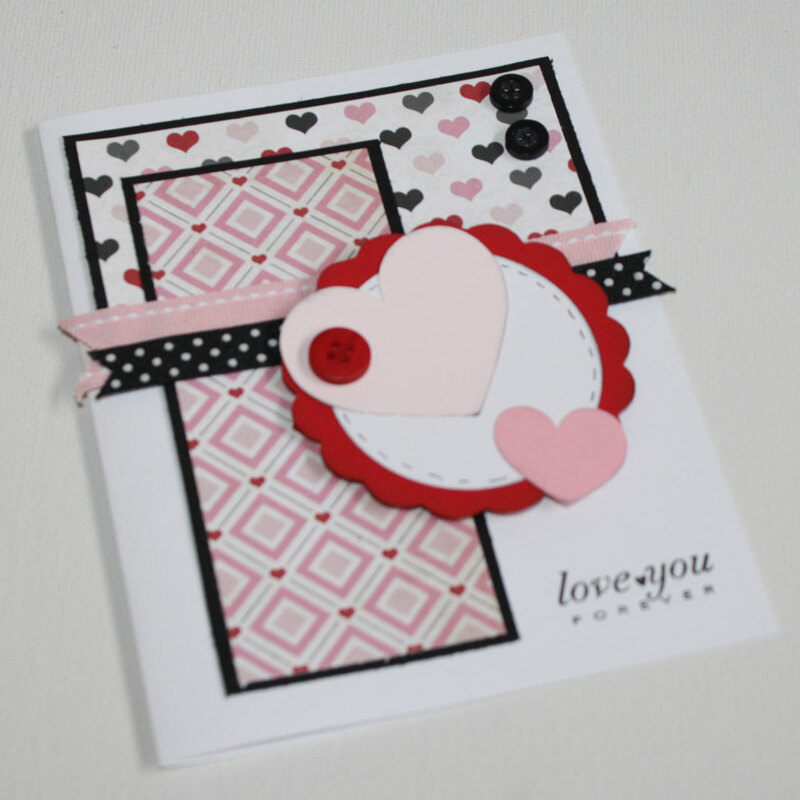 Make some Valentine cards with your kids and enter them to win 7 Digi stamps from Bugaboo designs. If you've missed it find out all about it here.